If we make our consumers unhappy in real life, they might each tell up to six people, but if we make them unhappy on social media/internet they can each tell up to six thousand people. That means social media matters most to any brand, as below infographic by sabrinacompany shows, customers spend 22 percent of their time on social networking sites like Facebook and GooglePlus, while 21% on searching-Google and 20% on browsing. 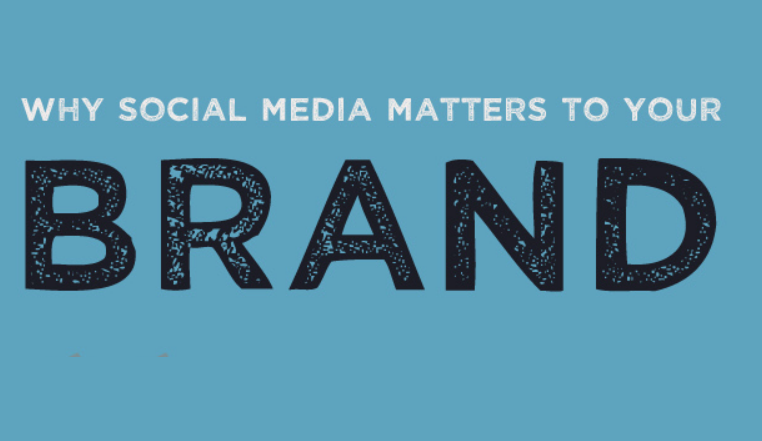 Moreover 23 percent of brand marketers are developing social media strategies. Are you leveraging social media in your marketing strategy? Social media allows companies to connect with customer on a 1:1 social level. Leveraging social media in your business marketing can help uplift your follower-base in a terrific way. The above statistics highlights why social media matters to your brand.